A shocking and controversial new app called ‘With Me’ lets you take selfie photos with any dead person you like, including celebrities. All ELROIS, a South Korean company, needs is a 3D image of someone’s face inside a special booth. Once it has one, it can digitally resurrect that person through what it calls “avatars” in its vivid avatar world or (VAW) – allowing avatars to react to what you say, move around, and take pictures with them. The company also plans to let people buy additional content through VAW, including – pre-made celebrity avatars, clothing, and accessories for their digital avatars that it will upload through the use of cloud technology. “We are working on the development for making Avatar Cloud Service in the web and mobile to upload their avatars and buy celebrities avatar, clothes and other stuff related with avatars (We call it as ‘VAW’ or ‘vivid avatar world),” a spokesperson said. The app uses Artificial intelligence that helps the avatar communicate and interact with its users. Once an image is stored in its cloud that person is there forever. It can even remember personal information of a user such as your name, birthday or other information. The app is additionally able to scan a user’s face for emotional expressions and can tell when a user is happy, sad or angry. According to ELROIS, the app was created to allow people to recreate the image and personality of someone who has passed away. “Avatars could be your family, friends, or even celebrities!” its promotional ad reads. “It is a way of overcoming a broken heart by interacting with a virtual recreation of their deceased loved ones,” the company said. “When we think about the reason why we take a picture or video, I could say, people want to leave their memories by what we can see forever. 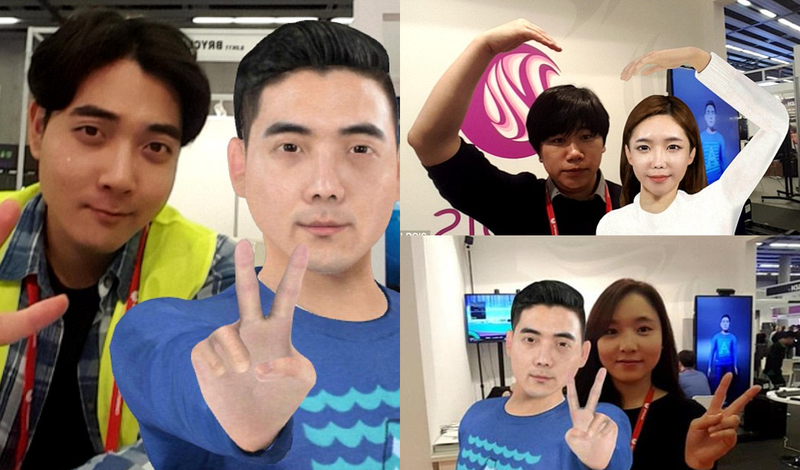 ‘3D photo-realistic avatar is based on the actual person and it has some interaction with the users, so we think the avatars can be the new way to overcome their wounded-heart with a good function of new technology,” ELROIS said to Dailymail. What do you think of “With Me?” Will you use it is it too creepy? Let us know in the comment section below!